3. Delineating rewards for exceptionally good behaviour and sanctions for bad behaviour. We now complete our list of these prerequisites. 4. Setting a good example: If you do not practice what you preach, you will have the hardest time ever getting people, especially the youth, to follow your precepts. Jesus had some hard words for the religious leaders who were meticulous about laying down rules but hardly kept any themselves in Luke 11:46. Paul the apostle admonished Timothy to “be an example for other believers in your speech, behavior, love, faithfulness, and purity” (International Standard Version). He was also bold to tell the Corinthian church to follow his example as he followed the example of Christ (1 Corinthians 11:1 – NIV). We should strive for the confidence to say the same to those under us. 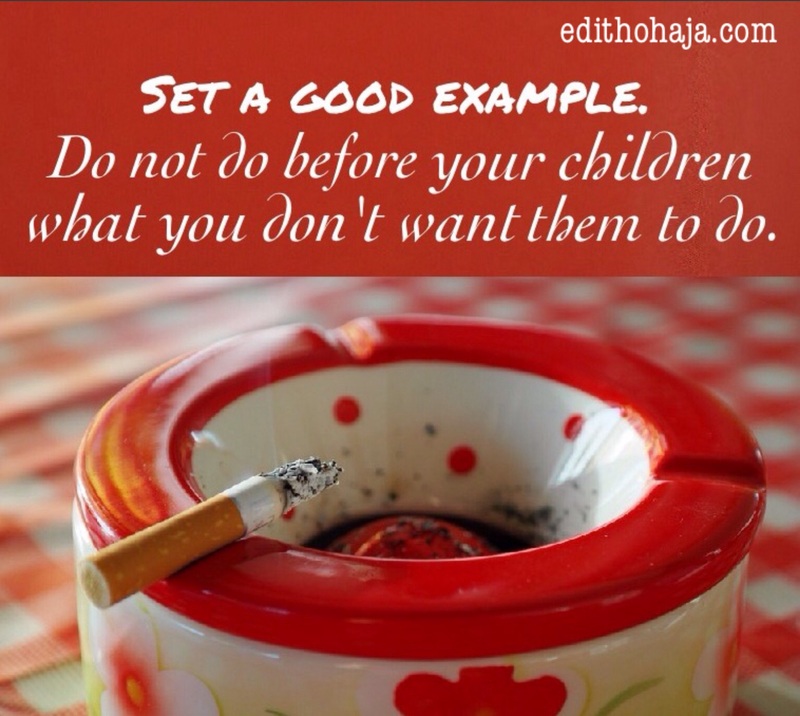 If, on the other hand, we smoke, drink and gamble, for instance, we should not be surprised if our children or wards do the same and resist our attempts to stop them. The same goes for situations in our offices. We cannot be habitually late and expect punctuality to be our subordinates’ watchword. Nor can we pilfer our employer’s cash or property and successfully prevent others from doing so or sanction them when they do. 5. Setting reasonable expectations: Assigning of responsibilities should take cognizance of your ward’s age, intelligence, stamina and experience. If you ask young children to handle expensive crockery, for instance, don’t blame them if they break something. Also, do not load people down with work without respite. He who works and rests today lives to work another day. You don’t endear yourself to your merciful Father in heaven by working people around you like slaves. So even on the busiest days, make arrangements for refreshments and rest at proper intervals. 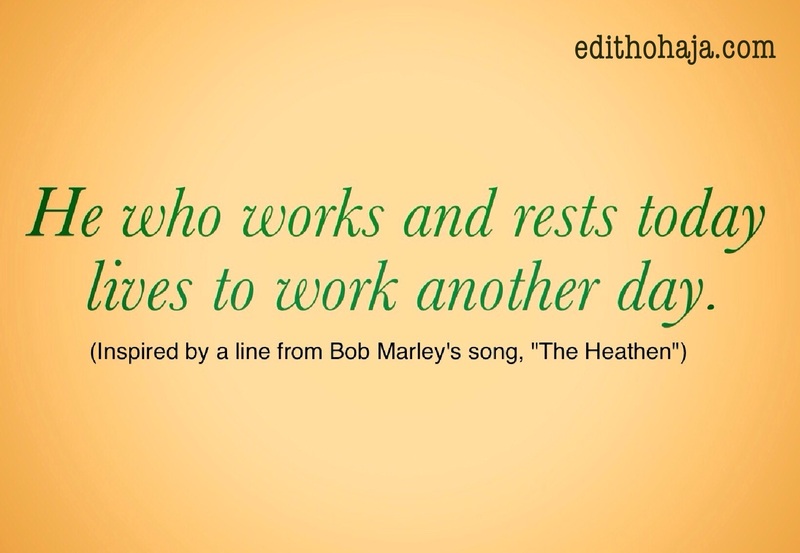 Even in Old Testament times when slavery was practised, God insisted on the fair treatment of servants exemplified in the granting of a weekly day of rest. How much more should we endeavour to make the burdens those under us have to carry bearable! If punishment becomes inevitable, let them know that it hurts you just as much as it hurts them. Also, treat your subordinates with dignity and respect. It doesn’t matter how young or poor they are, respect remains reciprocal. Demonstrate your concern for their welfare in the ways that God prompts you. You will thus earn their trust and obedience, perhaps, obviating the awkwardness and pain that comes from exerting punishment. This series will continue soon with a look at the proper application of discipline. Do share your thoughts on the ideas presented so far. Wow! This was amazing! I am so impressed and it's all true! I started organizing my room this week and my little daughter helped me so much that she helped me find some important papers. As she saw my room get cleaner and cleaner, she decided to go and organize all of her toys, and she made her room spotless! Also, I love the story about David choosing God's punishment over any other; it reminds me that God is a merciful and loving God, and He wants what is best for us! You are a gifted writer, Aunty Edith! ? Hello Angela! Really glad you came by and thanks a whole lot for your affirmation of the contents of this post. I am so proud of you. You are an examplary mum, raising your kids on godly standards. I pray greater grace upon you for each day and that your family continues to give you joy and fulfilment in Jesus' name. ?? These are thoughtful words. It seems to tilt to parenting and workplace relationship. However, as a youth who intends to make a change, these prerequisites should be observed. Thank you. May God help you to make a difference wherever you are, Queen, in Jesus' name. Really, setting an example for our wards or subordinates to follow is a wise step. We can't say one thing and do another. How then, can we discipline them when they err?. My dad's always going on and on about being careful and if he weren't so careful himself it would be hard to take him seriously. Good job ma'am. Children follow by emulation and not just by mere talking or instructions. I find this educative. The part of sharing the house chores in the house is always adhered to by mother. Everyone is given a work based on strength and ability to do it well.